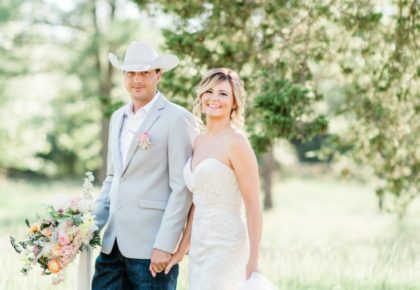 We’ve rounded up five must-see wedding trends any Oklahoma bride should consider when planning her big day. 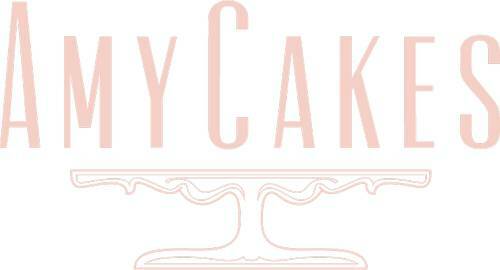 From lighting to cake design, we’re spotlighting our favorites we’ve seen lately. 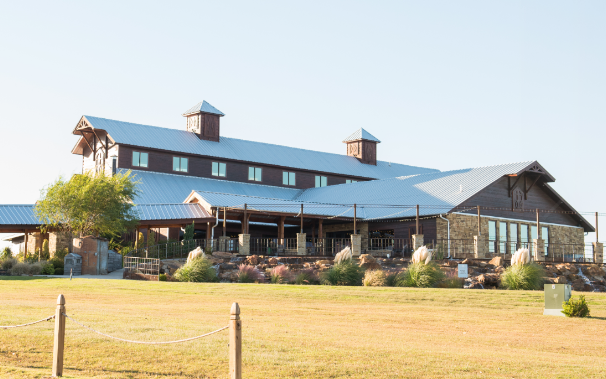 Take a peek then hop over to our Wedding Inspiration page to look through more fab Oklahoma weddings! 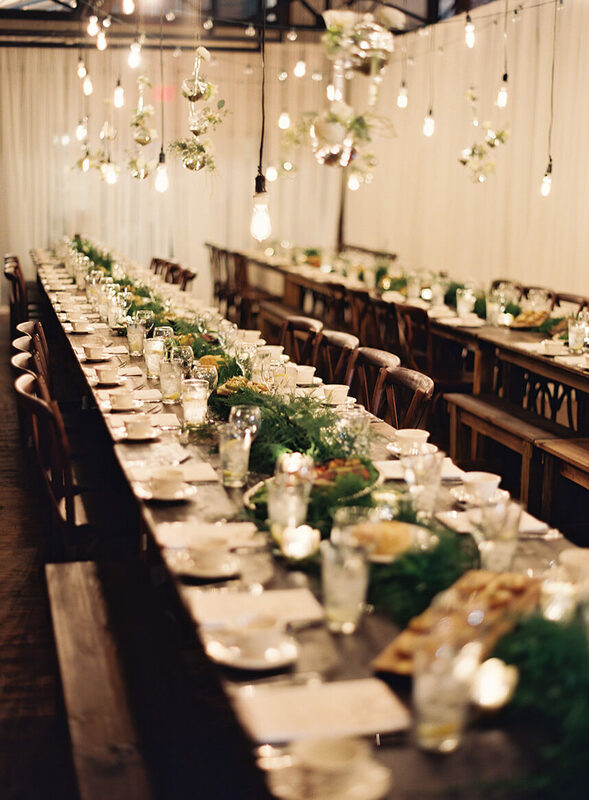 Industrial Lighting – The Edison bulb has added such a cool vibe to wedding scenes. This hanging option from Innovative Event Solutions certainly caught our eye! Try pairing this lighting trend with greenery and rustic wooden details for the ultimate industrial setting. 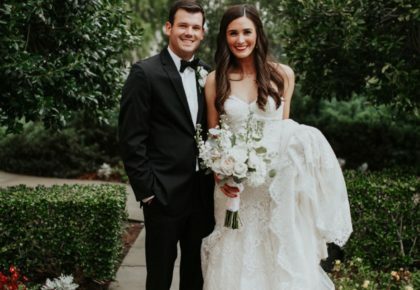 Hanging Florals – While tall, over-sized wedding centerpieces will always be a classic, we’ve come to love overhead, hanging floral arrangements! Drawing the eye up, they add depth and color to your space, and your guests will easily be able to see each other across the table. 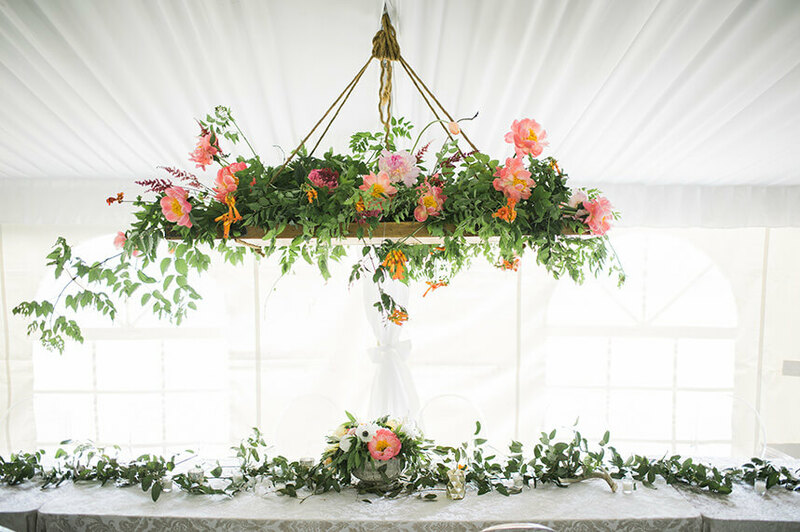 We love that Poppy Lane Design paired this hanging design with a greenery table runner below. 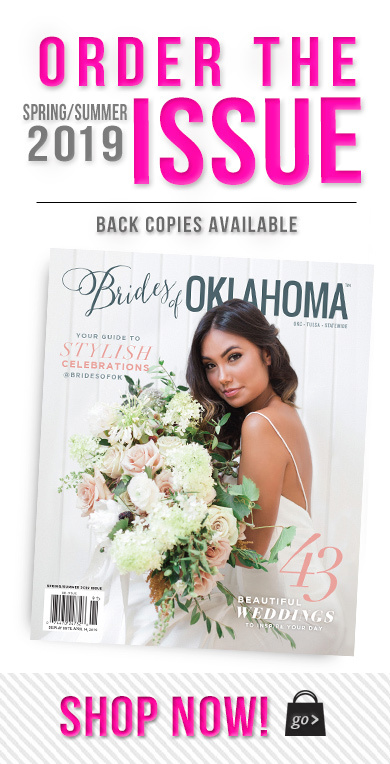 Nearly Naked Cakes – We saw loads of naked cakes in 2015, but the nearly naked cake has been a special addition to Oklahoma weddings this year. With barely-there icing it’s a more modern take on this wedding cake trend while still giving that lovely organic feel. 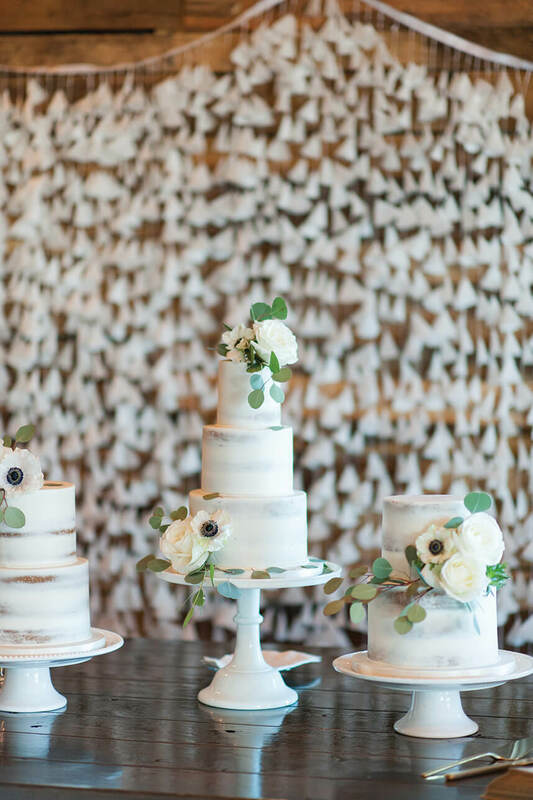 Amy Cakes whipped up this cake trio – another cake trend we’ve come to love! 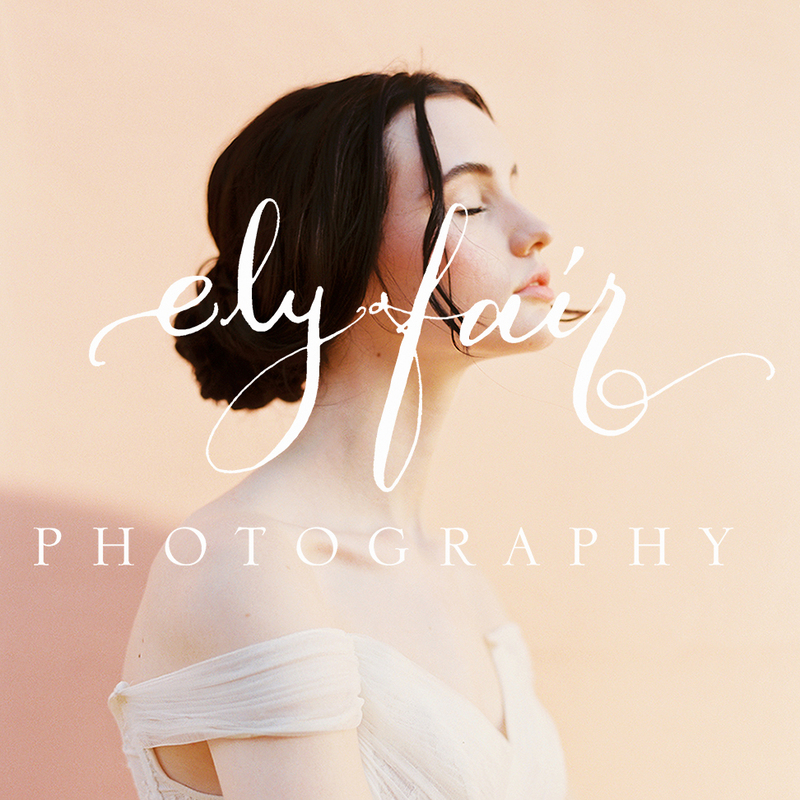 Custom Calligraphy Signage – Oh how we love pretty calligraphy! 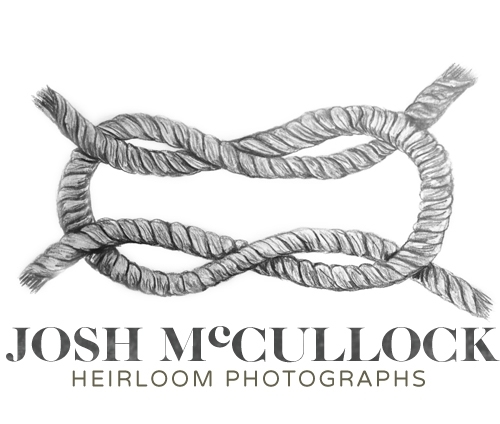 Adding this elegant touch to your wedding decor gives a personal touch in a way other wedding details can’t. 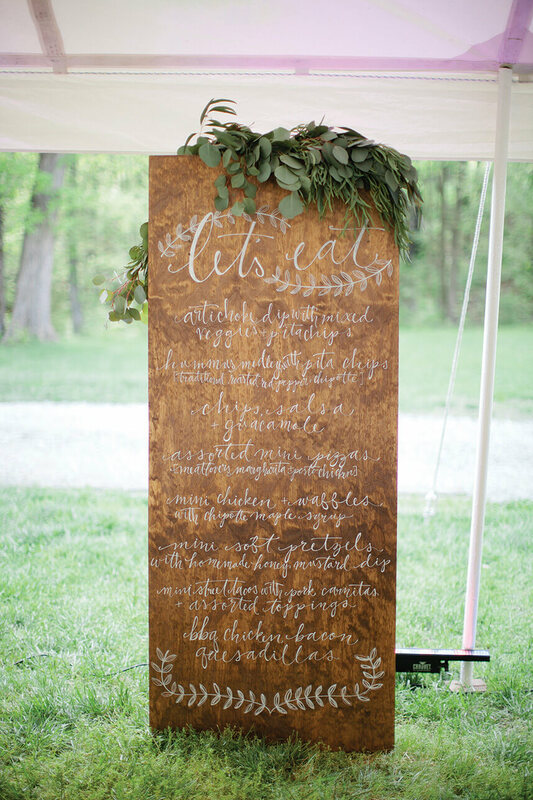 Use it on wooden boards and add greenery for an organic, outdoor wedding or have your calligraphy scripted on glass and set on an easel for a glamourous ballroom affair. Custom Lounge Settings – We’ve enjoyed seeing lounge areas appear in more and more weddings this year. 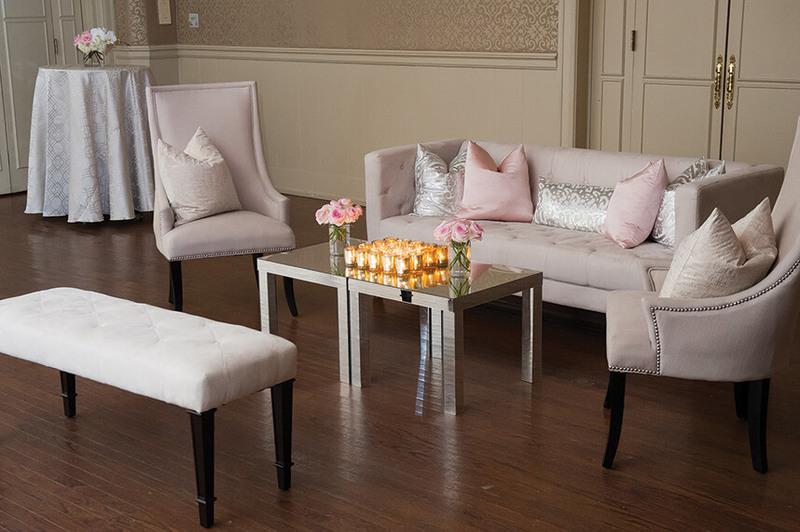 Adding lounge settings is an easy way to add more seating to your space, elaborate on your wedding theme or style and really just have an amazing focal point! 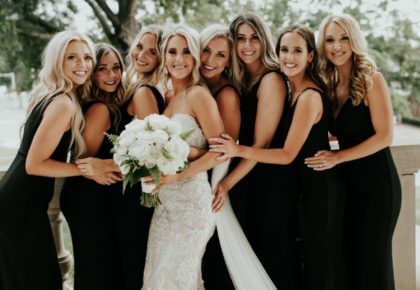 You’ll find pieces ranging from modern glam to rustic vintage from our incredible rental companies.